NEW YORK — Concern Worldwide U.S. has announced an immediate humanitarian response to the severe flooding in Malawi, which has affected more than 900,000 people, leaving more than 125,000 homeless. Malawi’s damage is just part of the massive impact of Cyclone Idai, which also carried torrential rains and 120 mph winds across neighboring Mozambique and Zimbabwe as well. The toll continues to mount as floodwaters subside and isolated communities are reached. In all, at least 2 million people are affected across the region, with at least 300 deaths. 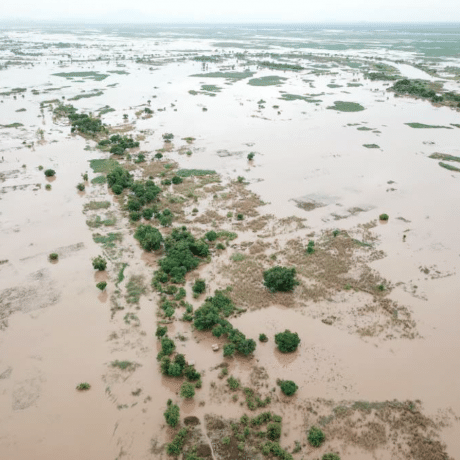 The Malawian government had already declared a State of National Disaster on March 8 following heavy rains and floods in its southern region when Cyclone Idai hit over the weekend. The more than 125,000 now displaced are scattered across 173 makeshift camps. Find out more about our response — and how you can help. Concern is seeking funding for its emergency response at concernusa.org/floods. Its first phase includes providing essential items such as cooking utensils, mosquito nets, soap and other materials including plastic sheeting for immediate shelter for up to 5,000 flood-affected households (22,500 people). The organization expects to expand its response in the coming days, constructing emergency latrines and showers and training people in emergency health and hygiene. Maize is the dominant crop and staple in Malawi. Those affected will require food and cash support for at least the next three months to stave off hunger. Establishing basic latrines and showers (separate for men/women) iin 12 camps, plus training in hygiene best practices in the camp context to help prevent cholera and waterborne diseases. As part of this work, Concern will work with the Ministry of Health Surveillance Assistants (HSAs) to train and support local community members to work as health and hygiene promoters in camps and affected areas. The second phase of the response is expected from April/May onwards and will focus on recovery and resilience. It will include providing agriculture-related items (seeds, tools, etc.) to help people produce a “winter crop” which will be feasible in the currently flooded areas as moisture will be retained. This support will be supplemented by cash transfers, which will enable families to restore their homes and livelihoods. The floods are the latest in a series of weather disasters to affect Malawi in recent years. The country was hit by serious flooding in 2015 and 2018, and experienced droughts and prolonged dry spells in 2016, 2017 and last year.